W	W	hile harsh radiation and a "weightless" environment make International Space Station microbes mutate, there's no danger of them turning into superbugs resistant to antibiotics, a new study shows. A team analyzing bacteria on the space station discovered different genes in the space bacteria than similar bacteria on Earth. The space genes, however, won't hurt the astronauts. "We were looking for different kinds of genes to see if the same genes were present in the bacteria in both places," said principal investigator Erica Marie Hartmann, an environmental engineer at Northwestern University, in an e-mail to Seeker. "For the species we looked at, we found that lifestyle functions – such as the ability to make things, respond to stress, or eat and breathe – and not antibiotic resistance and virulence, appear to play a role in bacterial survival in buildings." The researchers looked at several types of common and harmless microbes, such as Staphylococcus aureus, which normally lives on human skin. 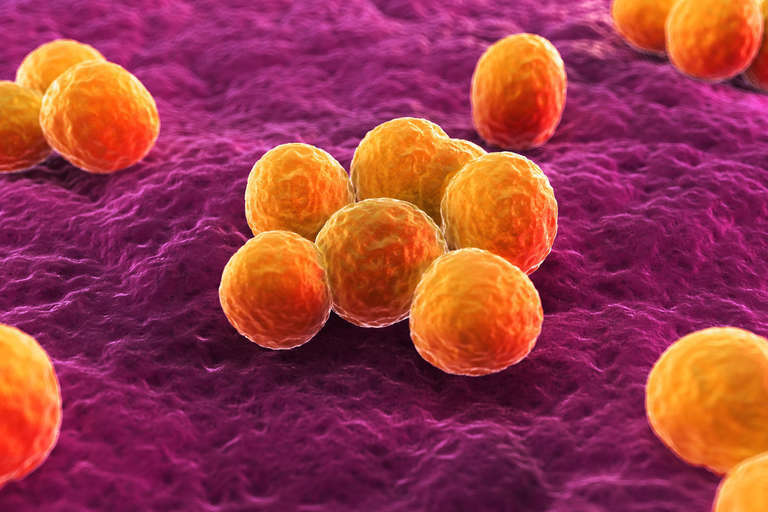 On Earth, the investigators collected the staph directly from human skin, but on the space station, they asked astronauts to pick up the staph on different space station surfaces. This was to remove the possibility of variation from human to human. "We can thus attribute any differences we see in the types of genes they have to the environment in which they were living: on the human skin, or the building surface," Hartmann said. She added that so far, the investigators don't have an idea about how fast the microbes evolve in space compared to on Earth, but she termed the query "an interesting question." It's not the first time space microbes attracted researcher attention. Back in November, strains of the bacteria Enterobacter were found on the ISS, as announced in the journal BMC Microbiology. On Earth, this bacteria is usually found in hospitals; a NASA Jet Propulsion Laboratory press release at the time described it as an "opportunistic infectious organism". The research team (led by JPL microbiology researcher Nitin Singh) called for better monitoring of these microbes on the space station, for human health concerns. The team emphasized, however, there was no immediate threat to the astronauts. "Our findings are also similar," said Hartmann of her team's new study. "This is reassuring because obviously we don’t want to be sending people up to space in tightly sealed bubbles full of pathogens or pathogens-to-be. The caveat is that there is a huge amount of bacterial diversity, so we can’t say even from looking at these three types of bacteria how all bacteria will respond. We should absolutely keep monitoring and keep doing research to understand how different types of bacteria respond to different built environment conditions, whether that’s in your home on Earth, in the ISS, or on a spacecraft off to Mars." Luckily for astronauts, analysis of tiny living creatures is getting easier in orbit. In 2017, NASA astronauts sequenced the DNA of microbes entirely on the space station, as part of the Genes in Space-3 experiment; it was the first time orbiting astronauts sequenced and helped identify microbes without needing to send the samples back to Earth. The two species found were Staphylococcus capitis and Staphylococcus hominis, benign microbes that had been captured on the space station before. "Sarah Wallace, who worked on that study, also helped us out with this study," Hartmann said. "What they’re doing by sequencing bacteria on the ISS helps us immensely. They're generating the genomes that we can then use to compare to genomes of Earth-based bacteria." Hartmann and her team will not stop with this study; they plan to expand their analysis to different types of bacteria, when more genomes from Genes in Space-3 become available through NASA. The team is also conducting studies in buildings on Earth to "make sure that we’re not inadvertently creating superbugs," she said. While the idea of little creatures living all around us might make you feel itchy, Hartmann emphasized a certain number of bacteria and microbes are normal in the environment. "We take our bacteria with us everywhere we go, and we always will," she said. "We need to accept that we need our bacterial partners; the vast majority of bacteria are not harmful to humans and can in fact be very helpful. By researching how bacteria respond to different conditions within buildings, we can be smarter about how we're designing and operating buildings and what kinds of products we use in them." Hartmann's study was recently published in the journal mSystems.